Rabbi Peter and Sheila Kasdan address the gathering in the sanctuary. 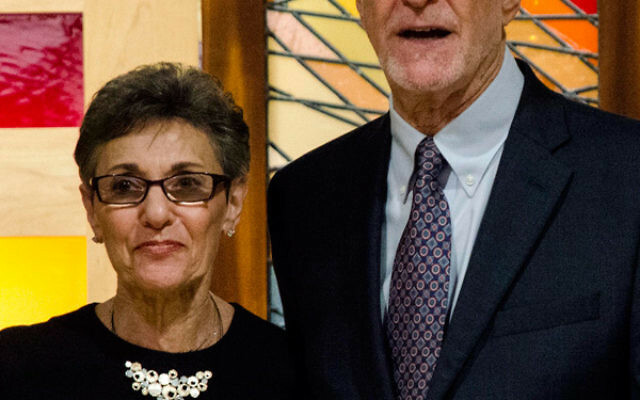 RABBI PETER E. Kasdan has been rabbi emeritus at Temple Emanu-El of West Essex since 2001, when he retired after 30 years as religious leader of the congregation in Livingston. Though he and his wife, Sheila, moved to Longboat Key, Fla., they return to Livingston each summer and fall to share in the holidays and lives of their children and grandchildren and the Emanu-El congregants. he has continued to serve the temple as consultant and counselor to its clergy, educators, administrators, and lay leaders. On Sept. 23, the temple honored Kasdan on the occasion of his 50th year in the rabbinate. 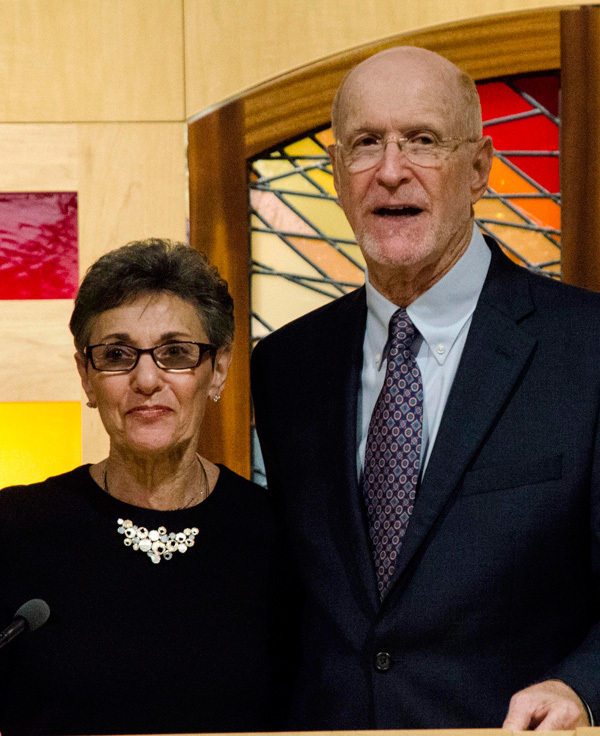 The celebration, which drew 140 congregants, included a reception and dinner and a Shabbat service led by Rabbi Marc Disick and Cantor Lori Corssin, joined by Shir Libeinu, the temple choir, lay leaders, and former students. The event featured some of Kasdan’s favorite Shabbat music, which he had selected, as well as humorous “presidential” and family speeches, and a montage produced by Robert Allen using photos submitted by congregants at whose life-cycle events and family celebrations Kasdan officiated.